Not a day goes by without a new fitness app, activity tracker or connected device promising to turn you into the ultimate athlete or yoga master. Fitness is such an active market that simply keeping track of it on Index probably has me burning more calories than I could eat in a day! Whether you’re a fitness freak or not, there are countless tools available to help you set goals, monitor progress and share your achievements. Fitness technologies make sure you don’t get off track and reduce the chances of a valid excuse to skip a workout. Though most are probably familiar with the big players such as Fitbit or Runtastic, here’s a list of other exciting technologies emerging from the scene. Personal trainers are great for helping you hit your fitness goals. They provide tailored programs and keep you motivated. Finding a good one, however, can be hard – and even harder to afford. Several online platforms claim to finally tackle these issues. Fitocracy is a marketplace that lets personal trainers offer subscription based coaching at affordable rates. If you don’t mind training in front of your webcam, Wello brings your personal trainer at home using a 2-way video solution. Based in Amsterdam, Fitmo is a mobile app that connects you to a dedicated personal trainer who will set your nutrition plan, workout schedule and personally engage in video calls and one-to-one text messaging. If you love cycling but the great outdoors doesn’t appeal to you (or the weather is terrible), RidePeloton has developed the ultimate solution. A great looking premium stationary bike, which offers plenty choice of classes and challenges via a giant, built in touchscreen. 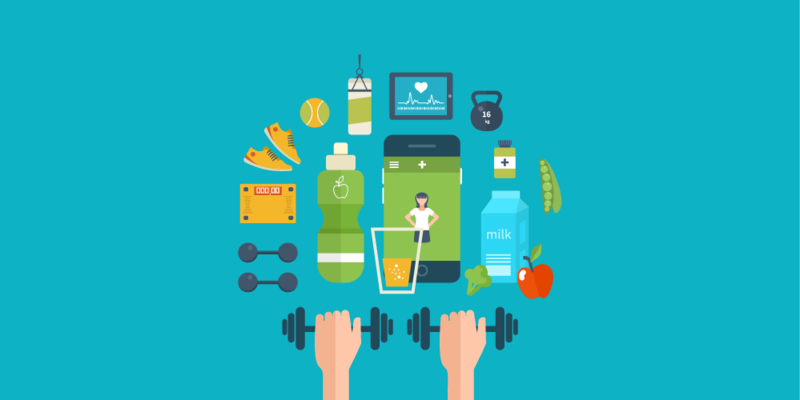 As in many other industries, the Uber model is applied to the fitness market; and location-based platforms listing gyms, offering deals or recommending activities near you have emerged. Launched in New York and Helsinki in 2014, SportSetter is a fitness discovery app for finding the best gyms and classes in your city, looking to expand to the UK market following a recent $1M seed funding round. Going after the Asian market with a similar strategy and giving access to 3,000+ gyms and fitness studios across eight countries, KFit recently landed a $3.25m series A led by Sequoia Capital. Loads of startups are innovating ways to help make sense of your movement. The growing popularity of wearable devices enables them to turn every step or pedal stroke into comprehensive data to help you iterate on your workouts. Cyclists around the world have widely adopted Strava, a mobile app that lets you file your cycling routes and challenge your friends. Acquired for $85m by sports giant Under Armour earlier this year alongside the very popular nutrition tracking app MyFitnessPal, Endomondo is a GPS enabled activity tracking platform. Targeting urbanites, Human is another tracking app that mostly innovates in data visualization by putting activity metrics into a worldwide realtime leaderboard. Speaking about Fitness without mentioning CrossFit these days isn’t possible. Beast Sensor is a wearable device that targets this community by recording a large set of movements and exercises specific to the popular training method. Adding artificial intelligence to its wearable device, Moov just entered the market with the big goal to replace the role of the coach. If you’ve somehow managed to get yourself out of shape with all these technologies around, I’d recommend to stop worrying about it and treat yourself by discovering the wonderful world of food tech instead.